This pristine architectural residence is a rare and coveted find in a most desirable urban location. 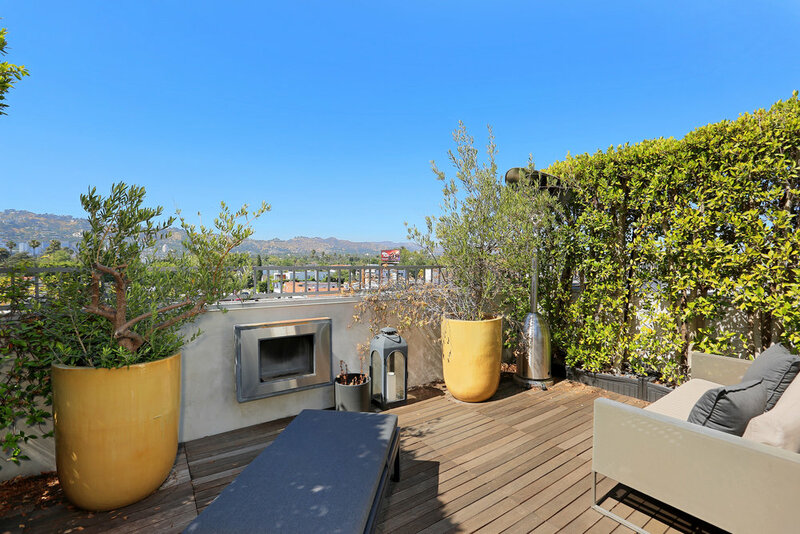 Impeccably custom designed, this tri-level loft-style town home features a private roof top deck and spectacular city views. 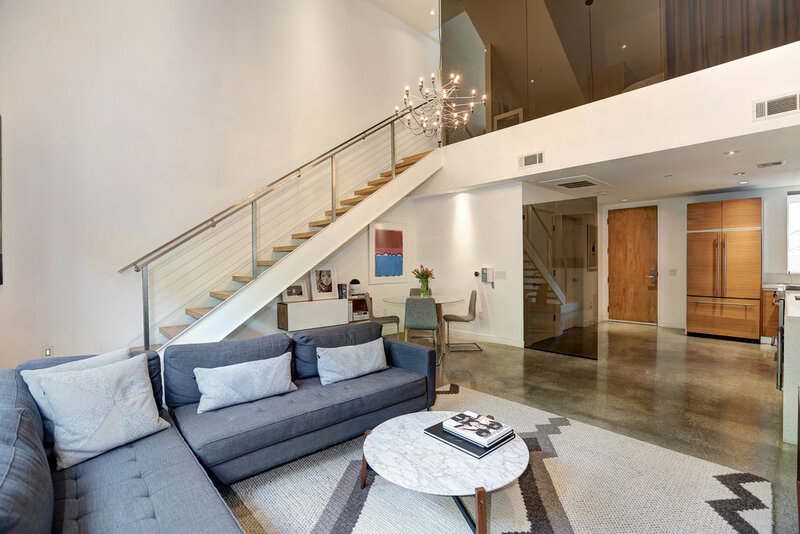 Thoughtful incorporation of crisp modern lines balanced with warm earthy elements recalls the influences of famed mid-century architect Richard Neutra and the minimalist lofts of Venice and Tribeca. 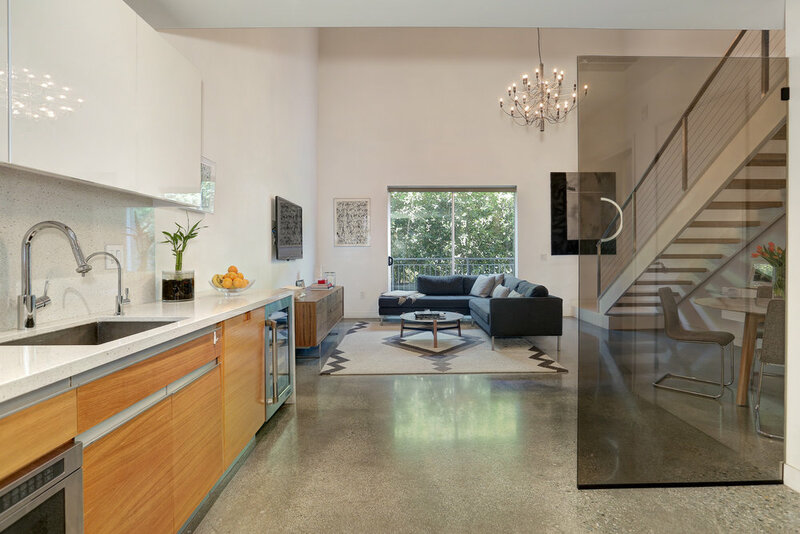 Fully appointed Jenn-Air kitchen offers flushed oak and white lacquered cabinetry, polished Caesarstone counter tops, Bosch ultra quiet dishwasher, and Living Water filtered in-sink water filtration system. 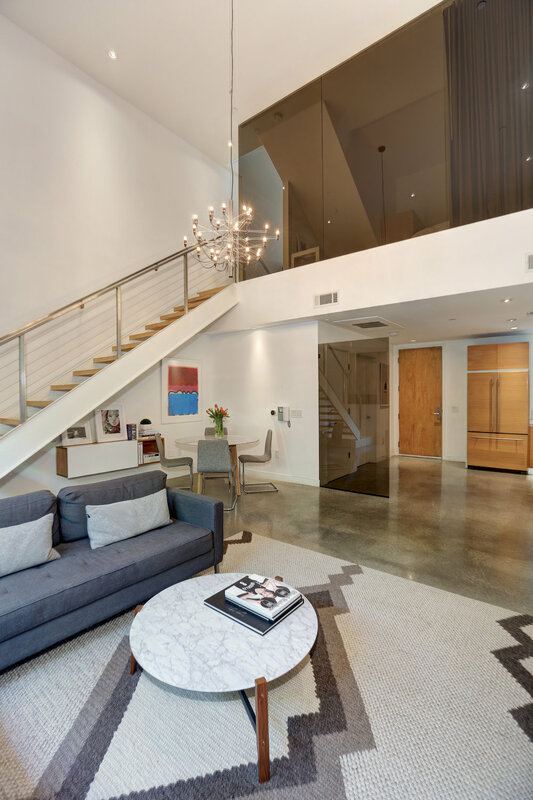 20-foot ceilings, dual pane windows, high quality Grohe bath fittings, custom stainless steel railings, bronzed glass walls, polished terrazzo aggregate flooring on the first level and 7″ oak plank flooring on the upper levels add to the aesthetics and conveniences of the space. 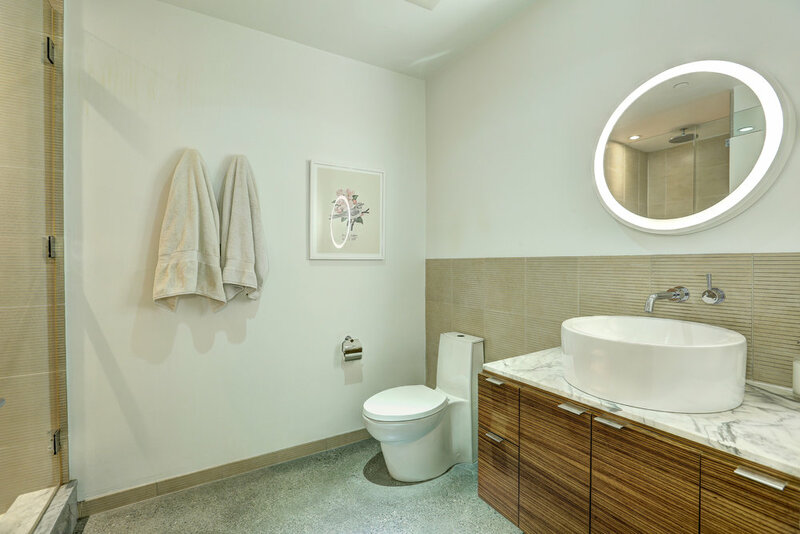 Amazing oversized master suite with extra high 12 foot ceilings and step up master bath luxuriously appointed with marble and Italian designer lighting. Roof top garden and sky lounge outfitted with a custom designed outdoor kitchen and fireplace. 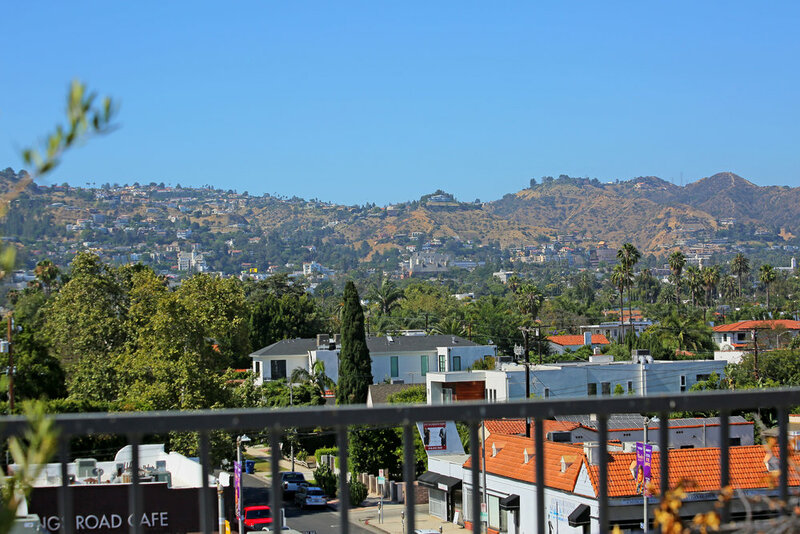 Direct head-on views of the city and Hollywood Hills! 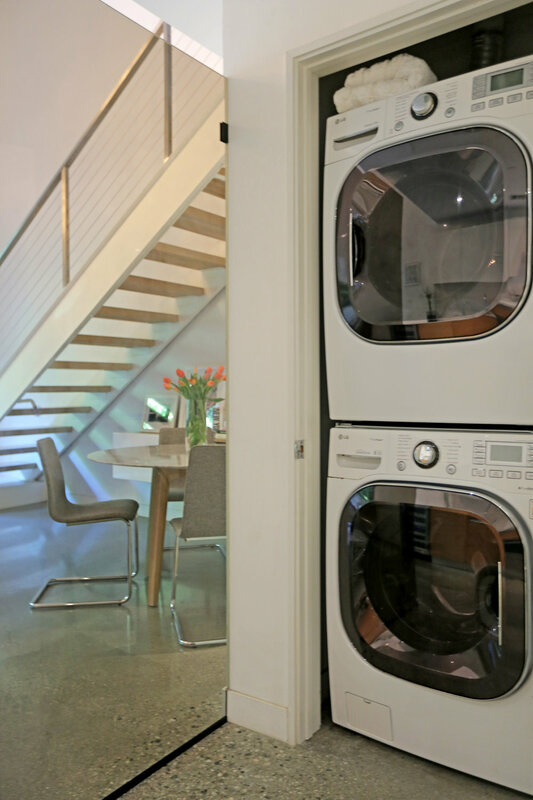 Eco-friendly elements include LED lighting, custom automatic shades, low-flush Kohler toilets, and Nest thermostats. 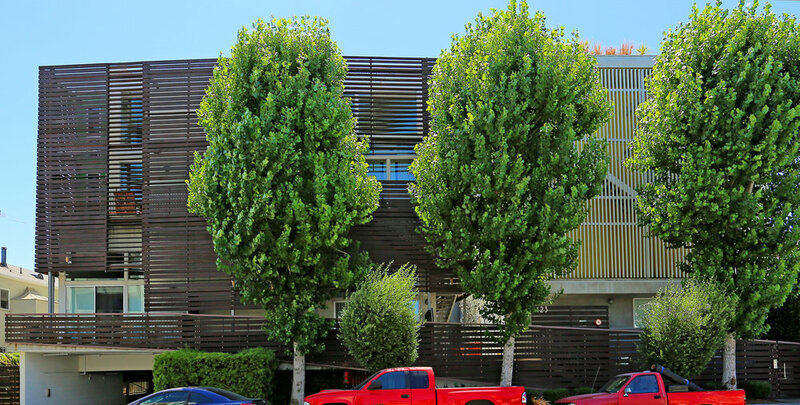 Gated subterranean parking for two with extra guest parking and private storage, security entry, communal courtyard and grassy dog run to complete the package. More than a home, this property offers a living experience!